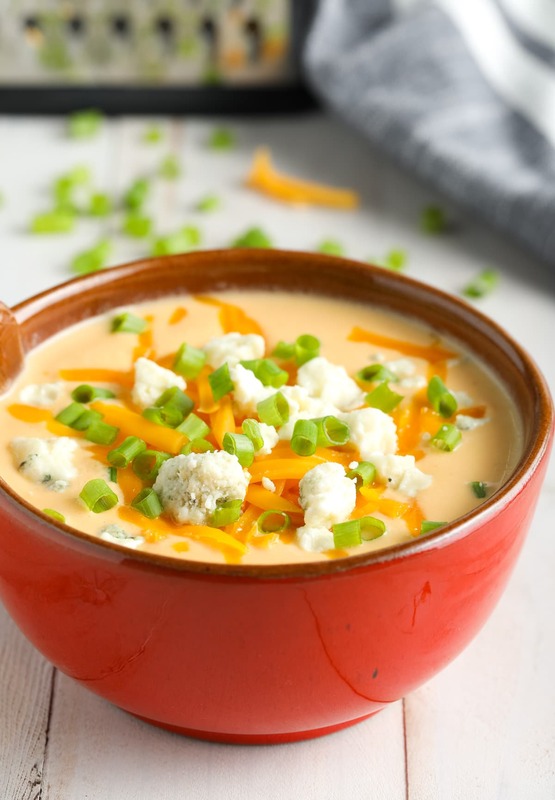 Cheesy Low Carb Buffalo Cauliflower Soup Recipe – A ketogenic and vegetarian soup with a rich creamy texture and pop of spice! Tomorrow we embark on a new journey. 2019. How will it be remembered? Will it be a year of amazing milestones and memories we cherish? Or will it go by without a reason to celebrate? Will we courageously make decisions that affect our future positively? Or will we wallow in a pit of unhealthy habits and constant distraction, just hoping for a different (unrealistic) outcome? Whether it pertains to your: health and fitness, work mentality, family life, unhealthy friendships, or spiritual journey… Right now you can make a change that will produce a better outcome in your life. You just have to let go of the “what ifs” you’re holding onto and move forward, one step at a time. Sorry for sounding like a self-help guru, but I do feel so passionate about this! We effect our own lives for better or worse with the decisions we make every single day. Although it’s much easier to blame people or our circumstances for where we are in life, it’s not our upbringing, or our spouse, kids, boss, education, or current state of health that determine our happiness… It’s us, individually. We decide how our life turns out, by the specific decisions we make, or by not making any decisions at all and staying where we are. What am I doing with this life I’ve been given? What will I do today, to create hope and happiness in my future and the future of those around me? Can I answer these questions with honest excitement? Or do I dread the questions? If dread is the constant answer, I need to make some personal changes. Making big changes in your life can be daunting. We often fear failure so much, we feel frozen, unable to move. Or we are so comfortable in our old habits, we wonder if the changes we will have to make are really worth the effort. However, if you truly understand that little failures are part of the process, it makes it easier to take a step forward. This January, let’s do this together. People all over the world will be writing down their New Year’s Resolutions tomorrow. Although some scoff at this tradition, it really is the perfect time of year to draw a line in the sand, when it comes to breaking free of old habits. There’s a support system of others, making similar changes in their lives, all around you. You just have to seek them out! If you are looking to make changes in your eating habits this year, we’re here for you! No, A Spicy Perspective isn’t a nutrition website and we don’t stick to one particular diet plan. However, as a family we do try to make healthy decisions throughout the year, and that leads to lots of healthy recipes that fit into all sorts of diet plans! We are personally going to eat low carb and lots of clean foods over the next 6 weeks. Therefore, we will be posting plenty or low carb, keto, paleo, vegan and vegetarian, and Whole 30 recipes. Make sure to subscribe by email so you don’t miss any of them! 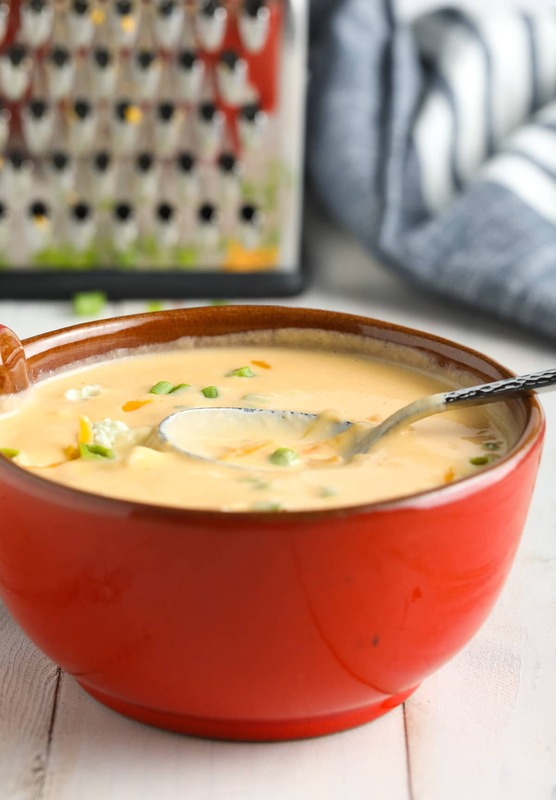 It’s a creamy low carb soup that fits neatly into a ketogenic diet. 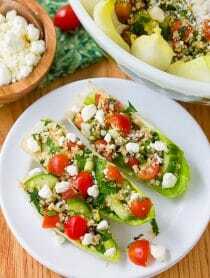 Plus, it’s vegetarian and could be vegan if you substitute vegan cheeses. 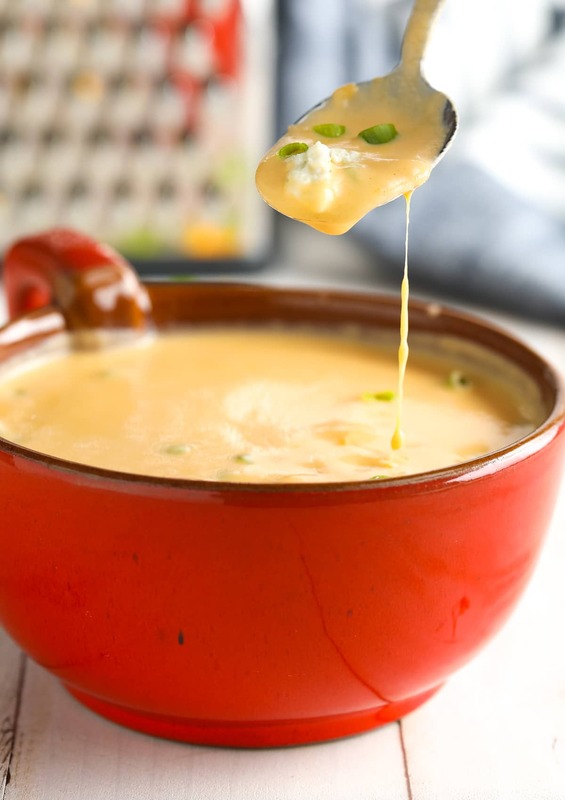 The pop of spicy buffalo flavor is a welcomed surprise, combined with the smooth cheesy broth. Top it with extra cheddar cheese, crumbled blue cheese, and/or scallions for a comforting meal that feels naughty even though it’s easy on the hips. 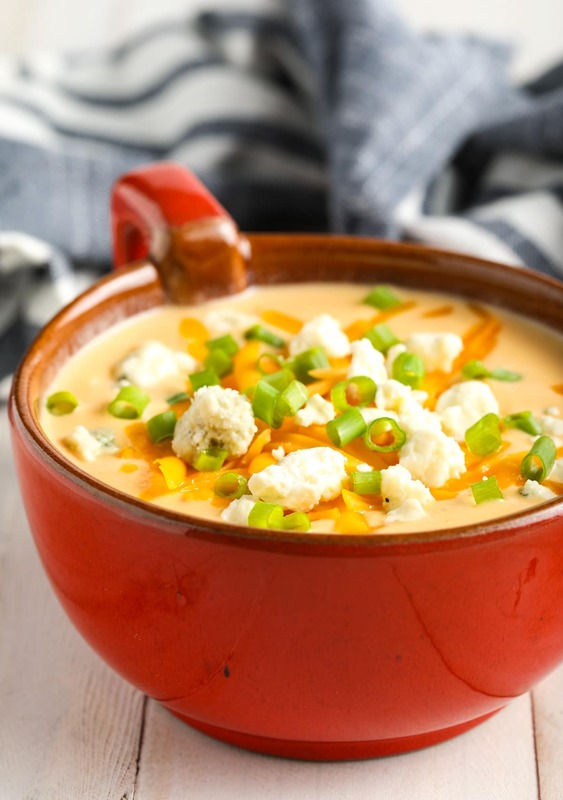 Cauliflower – Although I always use fresh cauliflower in recipes, you can buy frozen cauliflower to eliminate the chopping. Onions – For rich underlying flavor. Oil or butter – Just a little fat helps soften the onions and garlic. Vegetable broth – Store-bought or homemade. Buffalo cayenne pepper sauce – This provides a distinct kick of bold flavor and spicy heat! Cream cheese – For a thick creamy finish. If you are not on a ketogenic diet, you can use low fat cream cheese. Cheddar cheese – For that little extra something. 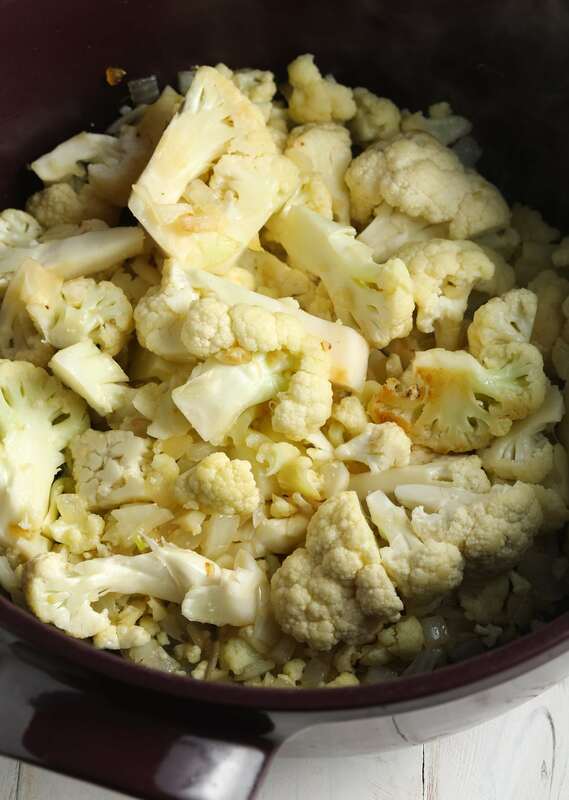 Sauté the veggies – Soften the onions, garlic, and cauliflower to bring out their flavor. 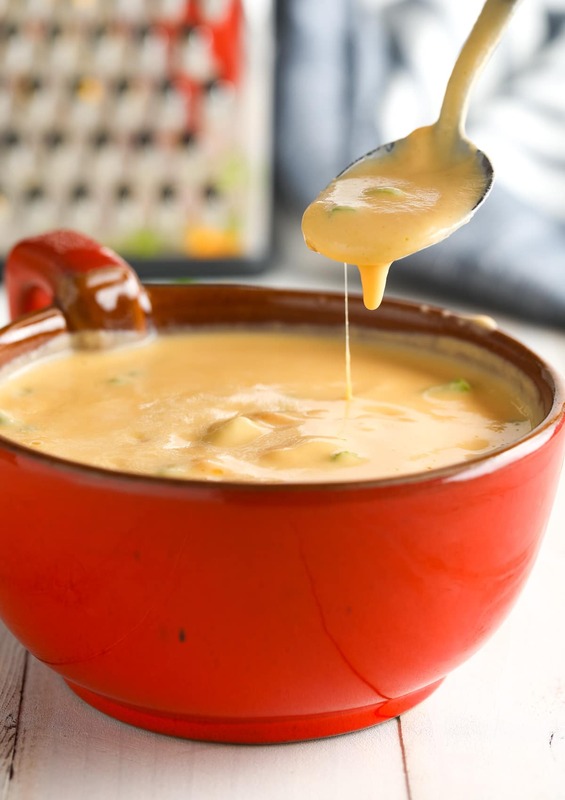 Simmer the soup – Add the broth and hot sauce. Then simmer the soup until the cauliflower is nice and soft. 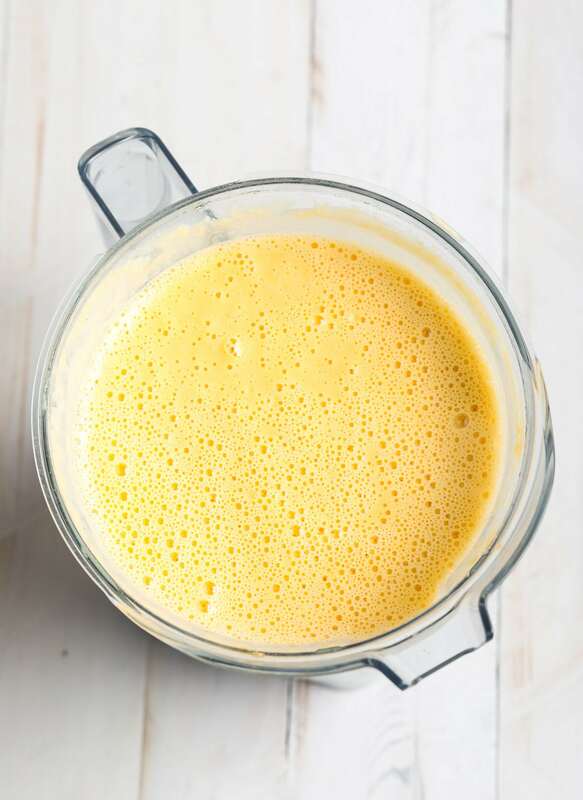 Puree – Place all the ingredients in a blender and puree until very smooth. 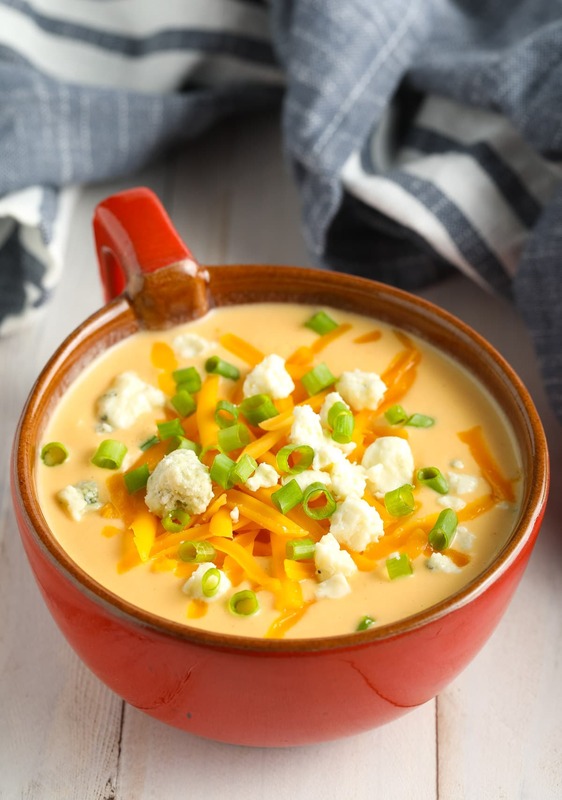 Cheesy Low Carb Buffalo Cauliflower Soup Recipe - A ketogenic and vegetarian soup with a rich creamy texture and pop of spice! Set a large 6-quart soup pot over medium heat. Add the oil, chopped onions, and garlic. Sauté for 3 minutes. Then stir in the cauliflower and sauté another 5-7 minutes, stirring occasionally so the garlic doesn't burn. Pour the vegetable broth and buffalo sauce into the pot. 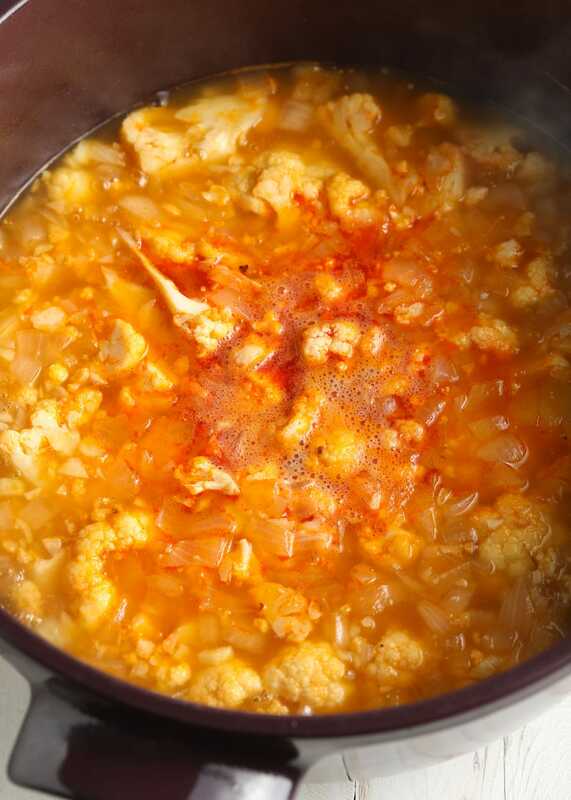 Cover and simmer the soup for at least 20 minutes, or until the largest cauliflower florets are fork-tender. Carefully pour the hot soup into a blender jar. Add the cream cheese and shredded cheddar. Place the lid on the blender, and open the vent in the lid. Place a dish towel over the blender so the steam can vent, but you do not get splashed with hot soup through the open vent. Then blend until completely smooth. Taste, then season with salt and pepper as needed. 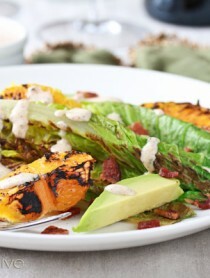 Serve warm sprinkled with extra cheese, scallions (or bacon if you're a meat eater)! I forgot to buy cream cheese so I read online that you could sub cottage cheese (blend it first). Turned out great and added more protein to the soup! I love how simple this is to make! It was so good my family loved it! Made this for dinner and it was a HUGE hit! TOTALLY saving this and going to hopefully freeze it for after we have our baby this week! This looks so so good. This was delicious just starting to.look at the keto diet and this is a winner!! Amen to everything above. It’s all about our choices. We hold the key to making changes in our own lives!!! And I definitely am making a change to my cauliflower soup recipe now!!! I love that you added buffalo sauce to it! Yum! You have literally put my 2 favorite things together and OMG I can’t wait to try it! Oh delicious! I can’t wait to try this soup! Great comfort food. 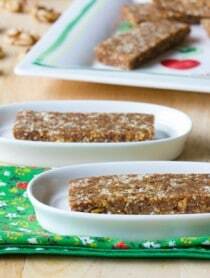 I just saved this recipe to make this weekend! I am so excited!